Pinging the outside world, and updates on fellow bloggers Yet another Dynamics NAV Splash Screen – YADNSS! That is the setup part of it. Very simple! So it uses a RecordRef variable, which is initialized with your current form record. Then you call the UpdateFromTemplateSelection in codeunit 8612 Template Management. 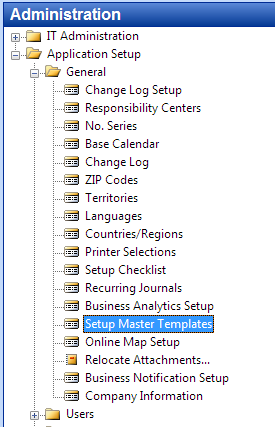 This opens up a form with all associated templates for your current record, and when you select one, it updates the fields on your master data. Notice if the fields have dependencies, like eg. “Base Unit of Measure” that needs to have a record created in the “Item Unit of Measure” table, then it will fail, if this hasn’t been created ahead of time. The functionality can be found here in standard NAV: Item, Customer, Vendor and Contact. Maybe other places too, that I haven’t seen, but the code to add is very simple. 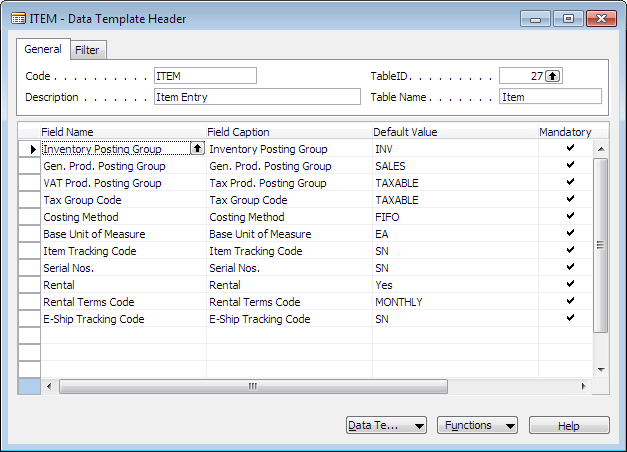 On table 8618 Data Template Header I added a custom field of type TableFilter. 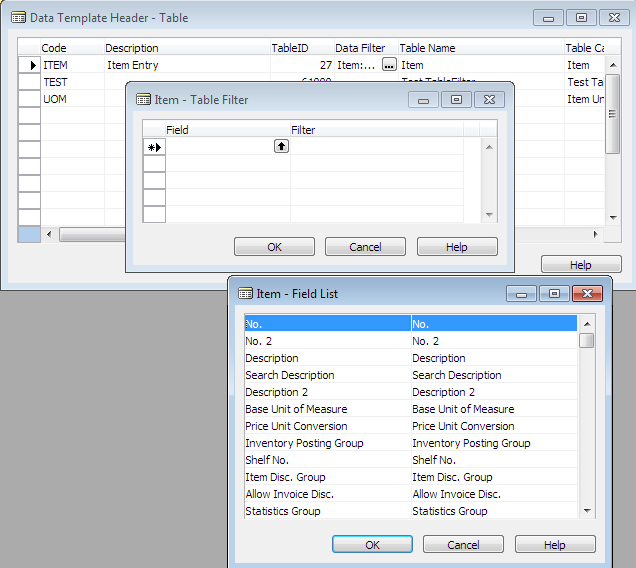 This fieldtype is not commonly used and wouldn’t be of much use without the TableFilter2View function created by another of my colleagues Peter D. Jørgensen (see this post on Mibuso.com). The property “TableIDExpr” is the key here. It needs to have a source expression that tells it the table id. As we already have a field for TableID (field 3), we using this. You will see a standard filter form (like when you do CTRL+F7), on doing the lookup in the field column takes you to the fields of your source table. Important notice: A TESTFIELD on a TableFilter seems to crash the client, so it is commented out for now! That is it, enjoy. 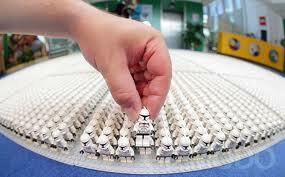 Next I will show you how to use the Data Templates for mandatory field management. Stay tuned! Thanks again, Soren for pointing me to the direction. Let’s just say I would still be pulling hair out of my skull if it hadn’t been for your information. You might want to take a look at the 2009 version of the codeunit 8611 Migration Management, which has some improvements for handling type conversions. Exactly! Don’t fix what is not broken. – But still it would be nice that they stored the TableFilter in the same format as the VIEW, eliminating the need for you function :). When we store any informtion in TablFilter field using NAV UI that can be read easily from NAV UI, but how we can able to read the same from SQL Server Side.